eHarlem TV, a television program locally produced by industry veterans, aired two 30-second spots and two 30-minute shows on prime time TV principally in New York showcasing childhood asthma in East Harlem, a community located in Manhattan. East Harlem, or El Barrio as it is known, is a “historically transitional community for immigrant populations,” said George Rivera, Executive Director of eHarlem TV. In the past 60 years, residents of El Barrio have come from Puerto Rico, Mexico, and other Central and South American countries. While East Harlem has a rich cultural diversity, it also has high rates of both poverty and childhood asthma. The 30-second spots, similar in style to commercials, and 30-minute shows with doctors and community leaders speaking about childhood asthma were intended to “get the word out to people about how serious this disease is and that there is help,” said Mr. Rivera. Developing programs in and about East Harlem was important to Mr. Rivera. Despite the reputation of East Harlem as one that is poverty-stricken with high levels of violence, dramatic changes are taking place and are “all but ignored by the mainstream media,” said Mr. Rivera. According to George Rivera, "We also talked to a lot of doctors who see most of their patients in the emergency room. For this disease, that is not where you want to see them." The eHarlem TV 30-minute shows encouraged East Harlem residents to seek care and get treatment plans established for children that are supported by parents, caretakers, and schools to minimize attacks and reduce emergency room visits. Creating appropriate research-based public service announcements (PSAs) about asthma, its causes, and treatment options in East Harlem required Mr. Rivera and the eHarlem TV team to conduct an initial assessment of the community’s knowledge of asthma. Through this initial survey, eHarlem TV discovered there was “a lot of miscommunication and lack in knowledge so we kept our shows very basic and fundamental,” explained Mr. Rivera. In developing and producing asthma-related PSA’s, eHarlem TV reached out to other industry professionals to collaborate on the project. eHarlem TV partnered with the East Harlem Asthma Center of Excellence, Mount Sinai School of Medicine, and other community health experts. Creating these partnerships led to a successful program. 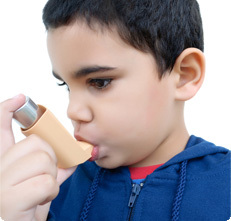 As there are many health care organizations working on childhood asthma, funding from the Healthy People 2020 Community Innovations Project enabled eHarlem TV “to tap into this network and lend them our communications expertise,” noted Mr. Rivera. Using PSA’s to dispel misinformation and bring people in to health care organizations were essential elements to the success of the “Asthma” series eHarlem TV created. While funding for this project addressing the Healthy People 2020 topic of Health Communication and Health Information Technology has ended, Mr. Rivera asserts that “This project is not over as far as we’re concerned” as the “Asthma” series remains available online.